Building Community is an online training program that helps students, faculty and staff create a safe and healthy campus community where they take care of themselves, look out for one another, and make choices for the greater good. 360° Stay Safe is the most relevant and comprehensive source of personal safety information for students, parents, children and organizations around the world. Sign-up for demo access to our program and experience what sets us apart. Do you have training to complete? Log in to begin your training program. DSA’s Clery and Title IX teams have worked closely with 360 Stay Safe to ensure the requirements of the Clery Act (including VAWA) were met in the development of the training modules. 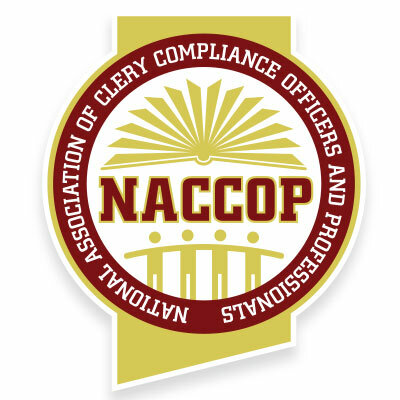 The National Association of Clery Compliance Officers and Professionals is the leading resource for collaboration, resource sharing, and best practice discussion in support of colleges and university efforts to comply with the Clery Act.